Stories begin with ideas and these can come from anywhere. For some writers, some of the time, they may arrive fully formed, but I suspect that for most of us, they show up as seeds which we have to nourish and grow, in acorn-to-oak fashion. Another name for that is simply “publishable novel,” because according to Maass, good is not good enough anymore. I see antecdotal evidence to support his claim. 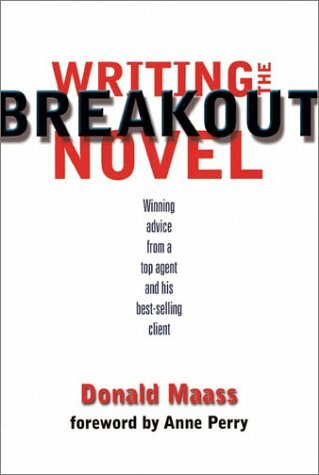 I still find the phrase “breakout novel” a bit high-falutin, so I just tend to think of “really good novels.” Really good novels begin with a really good premise. Maass uses the word “premise” both for the initial seed idea (“What if there were a whole other world at the bottom of that rabbit hole”) and for a more polished, high level description (“A girl named Alice follows a talking rabbit and…”). He insists that really good, breakout ideas can be made. He gives many useful examples of brainstorming and suggests that a key skill is learning to ask “what if” questions and then throw away one’s first responses which are likely to be obvious and cliched. In the second chapter of Writing the Breakout Novel, he asks the reader to go find their three all time favorite books – the one’s we have read so many times the bindings are cracked. The ones that have nourished our hearts and spirits for decades. Maass suggests that four elements common to our favorite stories are likely to be, Plausibility, Inherent Conflict, Originality, and Gut Emotional Appeal. Plausibility is perhaps the easiest of these concepts to understand and build into a story. Avoid the extremes of the obvious and the impossible; according to Maass, we want our stories “surprising yet credible.” As a fan of fantasy and science fiction, I would add that this applies to alternate universes as well. Google on “world building” and you find a ton of information – much of it coming from gamers – on constructing internally consistent fantasy or extra-terrestrial worlds. The internal consistency is what matters. Orcs are all right in Middle Earth, in fact we expect them; Martians would be over the top. Inherent Conflict: If the story is set in an era and world where conflict is part of the situation, it aids the writer, but with craft, we can find or create conflict anywhere. The nominally placid suburbs can be battlegrounds according to John Updike, and now Jonathan Franzen. Anywhere you have teachers and students, parents and children, boys and girls you have the raw materials for conflict and tension. Even better, according to Maass – you have conflict between groups or individuals who both have a claim to be “right.”. It is our job as writers to find the conflict and keep in in the spotlight, for this is the stuff that generates excitement. Originality: This is one of those magical qualities – we know it and applaud it when we see it, but can we set out to deliberately be original? To a degree, I think we can. If we can allow ourselves to brainstorm or play with ideas, and are willing to reject our first (and usually obvious) solutions, we put ourselves in a place where something new can emerge. (strictly speaking there may not be any “new” stories, but in practical terms, there are books that make us think, “Wow, I wish I had thought of that”). I assume we all have practical ways of generating ideas – taking a walk, sinking into reverie, listening to music, keeping things silent, free writing, or some combination of methods like this. The next step is to apply it. If one can pull an entire plot out of ether, like a magician pulls an endless string of scarves out of a hat, bravo, but at some point, we’ll get stuck or have decisions to make. I cannot remember where I got this piece of advice but I find it effective. Ask an important plot question. Write down 20 solutions. Throw out the first 19 and the one that is left will be something original. Twenty or ten or pick a number that works, as long as it doesn’t make things go too easy. This entry was posted in Novels, Writing and tagged editors and agents, Novels, plots, writing. Bookmark the permalink.